How many of us would call ourselves a Good Samaritan? Jesus told a parable of a man who was headed to Jerusalem when robber's grabbed him, stripped him, beat him, and left him for dead. Some people just passed the injured man but one man stopped to help him. 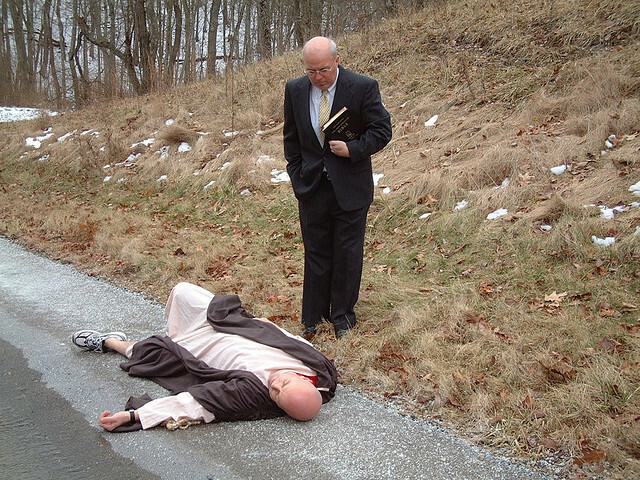 The Good Samaritan Christian bible study is suitable for use in individual and group study as well as a sermon helper for clergy. Scroll down for free printable version and free power point presentation. A priest just happened to be going down the same road, saw the man, and went to the other side of the road-ignoring the man. A Levite saw the man and also passed by on the other side of the road. One man who was traveling by made a difference. A Samaritan saw the man, felt compassion for him, treated and bandaged his wounds and then put him on his own beast and brought him to an inn and took care of him. The very next day the good Samaritan paid the innkeeper to take care of the man. The next day the Samaritan paid the innkeeper to take care of him. Do You Love other's enough to help them in their time of need? If you answered no to any of these questions then it is time to rethink how you can adjust your thinking to God's way of thinking and become a good Samaritan in your life today. Jesus gave us an example to follow-in the parable of the Good Samaritan he specifically tells us to "Go and do the same" which means if we see someone hurt or in need we should do all we can to help them. Check out this great presentation of The Good Samaritan power point presentation. Great for bible study!